Ram Charan delivers again with The High-Potential Leader. 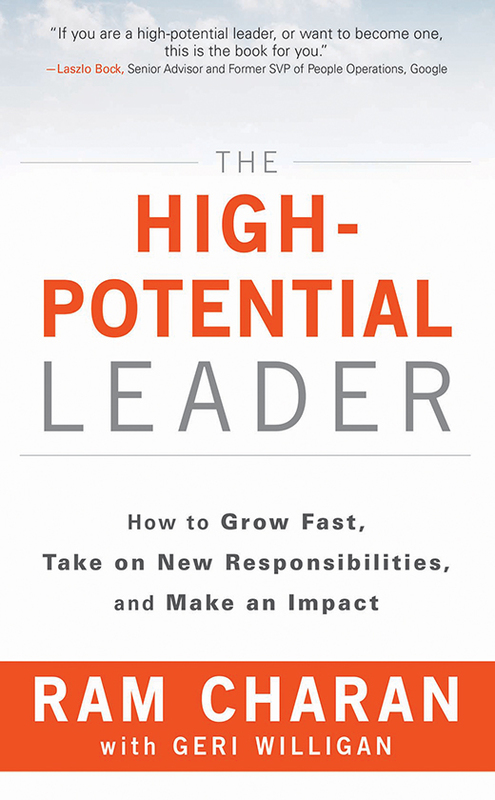 “Everyone has potential to grow," says Charan, "but not everyone, not even every person with leadership skills, has the potential to lead a large, complex organization in the near or distant future.” High-potential leaders (“hipos”) do. As a leader, your job is to grow your potential and be a scout — on the hunt — for hipo leaders in your organization. Charan differentiates between high-performance individuals (stars with respect to what they can accomplish individually) and high-potential leaders. As he notes, "your goal is to select the company's future leaders, not the great solo performers who have no capacity for leadership." Charan is not downplaying the importance of hipo individuals, he simply wants us to think about how we can maximize the lives and leadership of those with greatest ability to influence the organization or their respective part of it. Part 1 explores 5 Essential Skills For High-Potential Leaders. Part 2 addresses how to take charge of your growth. Part 3 looks at how to care for and feed the high potential leaders in your organization. This book is packed with sage advice, everyday examples, and practical ways to improve one's own potential while being on the hunt for the hipos in his or her midst. 1. Hipo Self-Test and Development Guide: Want to know if you are a hipo? Charan provides a personal assessment tool. 2. Chapter Checklists: These are essential tools to implement concepts discussed, providing both salient reviews of key concepts and next steps for growth. 3. Everyday stories and "how-to" guides: This book is theory, practice, and tools. 4. Missionaries and Mercenaries: Wow, that was good. See chapter 7. 5. Immediate application: For me, an essential test of a leadership text is, "Does it move me to take personal action?" The answer when reading The High-Potential Leader is a definitive YES.